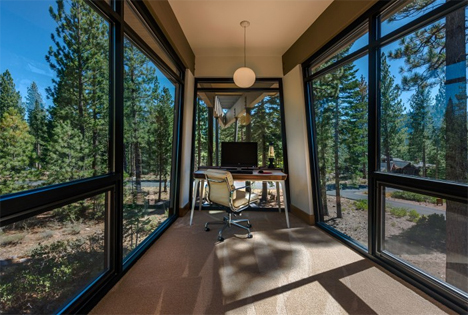 Warning – your cramped, cluttered cubicle might seem even more soulless than usual compared to the magnificence of these beautifully appointed home offices, some with all glass walls overlooking the ocean, others set into the backyard for privacy and connection to nature. 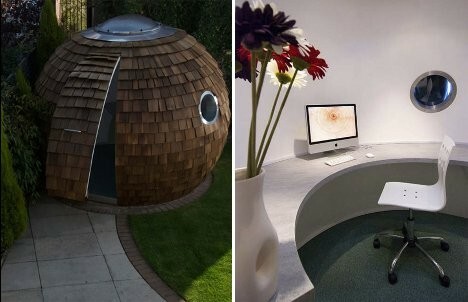 From prefab pods to brilliant DIY creations, these unusual home office designs make the prospect of working feel downright pleasant. 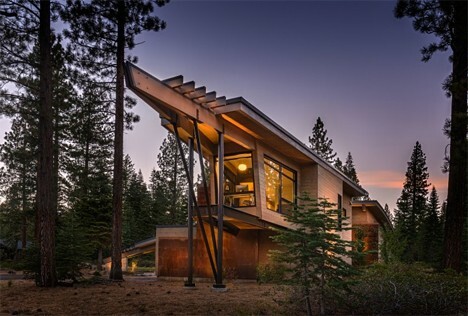 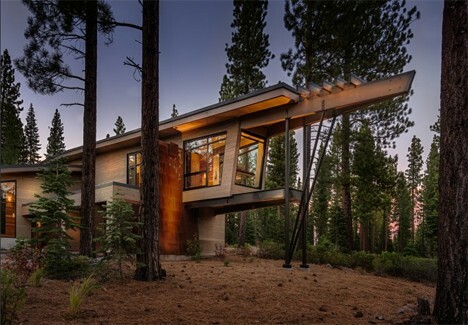 A wing of this vacation house in the woods of California lifts up into the air as if it’s about to take off, its glass walls the only thing separating the home office inside from the natural surroundings. 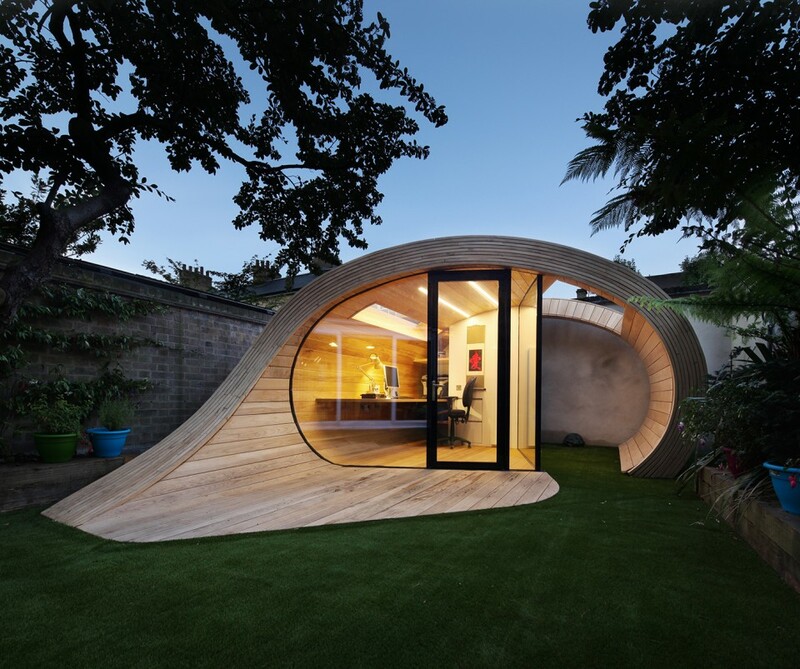 When you can’t actually take your work outside, you can just feel like you’re outdoors with a little creative decorating. 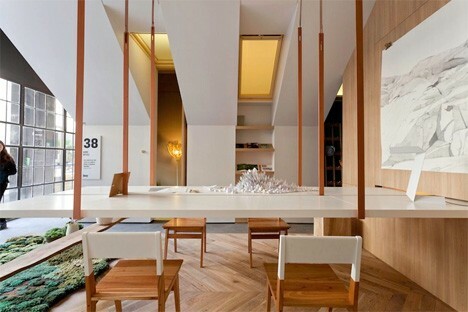 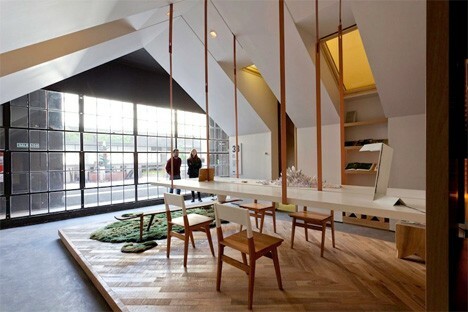 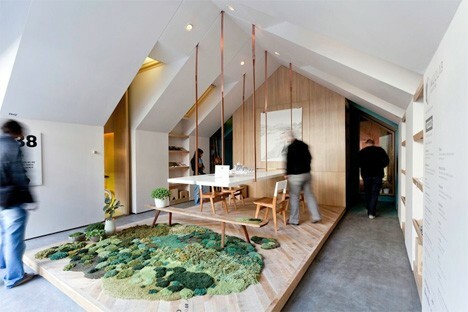 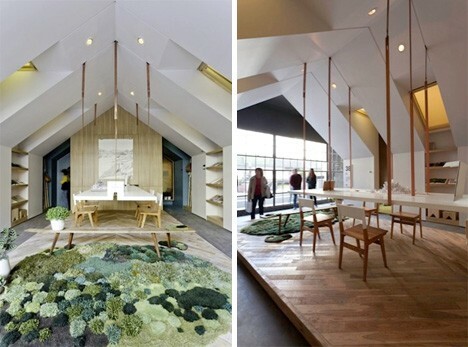 Nidolab Arquitectura outfitted this home in Argentina with a hanging table and real moss floor covering in lush green hues, illuminating the whole thing with natural daylight via an oversized skylight. 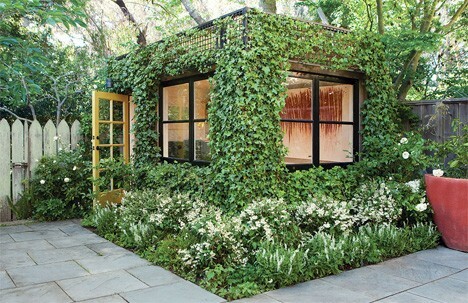 You can barely even tell there’s a building under all of the ivy that’s been trained to grow up trellises on the outside of this gorgeous backyard office in San Francisco. 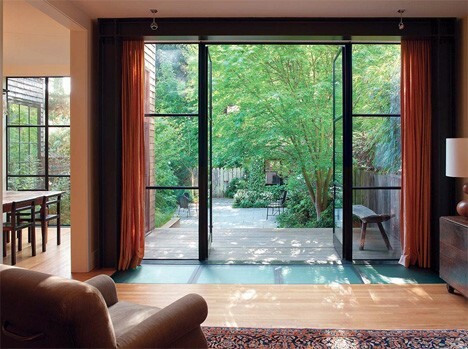 ‘Parkside Garden’ by Scott Lewis Landscaping Architecture creates a visual link between the main house on the property, and the adjacent public park. 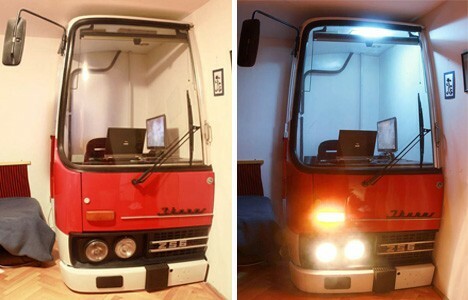 The cab of an old Ikarus bus was cut in half and inserted into the corner of a living room to create a tiny enclosed home office in Hungary. 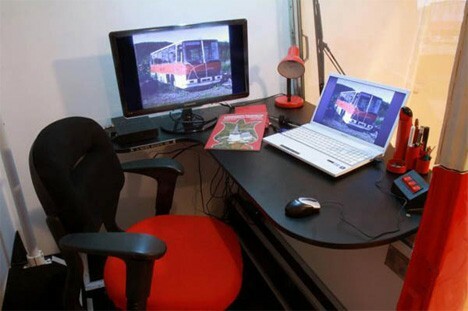 The owner spruced up the vintage find and added a corner desk to the interior to make it a cozy place for concentration. 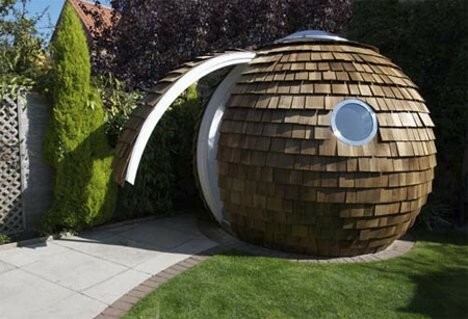 This shingled orb by Archipod looks like it could have fallen right out of a massive tree and into the backyard. 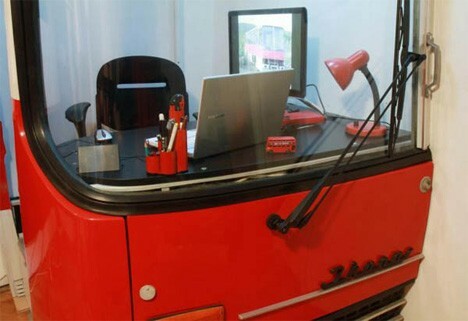 Each one of these luxury prefabs comes equipped with porthole windows, top-hinged gull doors, electrical hookups, a semicircular interior desk, lighting and a heater.